It's not a new idea. Preliminary plans for a rail line connecting Humboldt to points east were discussed in the late 19th century, but a north-south line was built instead. Landslides put that one out of commission, and there has been no rail service to Humboldt since 1999. In its absence, the dream of an east-west rail line has picked up steam, with the city of Eureka leading the charge. In late 2011, Eureka's City Council heard from a few people seeking support for studying a proposed, 125-mile east-west line that would connect Humboldt Bay to the national rail system. They argued that rail service is needed for a viable port and once the tracks are laid, we'll have jobs galore. In a talk on KINS radio, rail supporter Rob Arkley said, "This is 1,000 to 1,500 union jobs, wealth being created in this county unlike anything we've seen; our kids will stay here; we will have our future again." It's unstated and uncertain just who might build this rail line or where the money will come from. At this point supporters are merely looking at "feasibility." 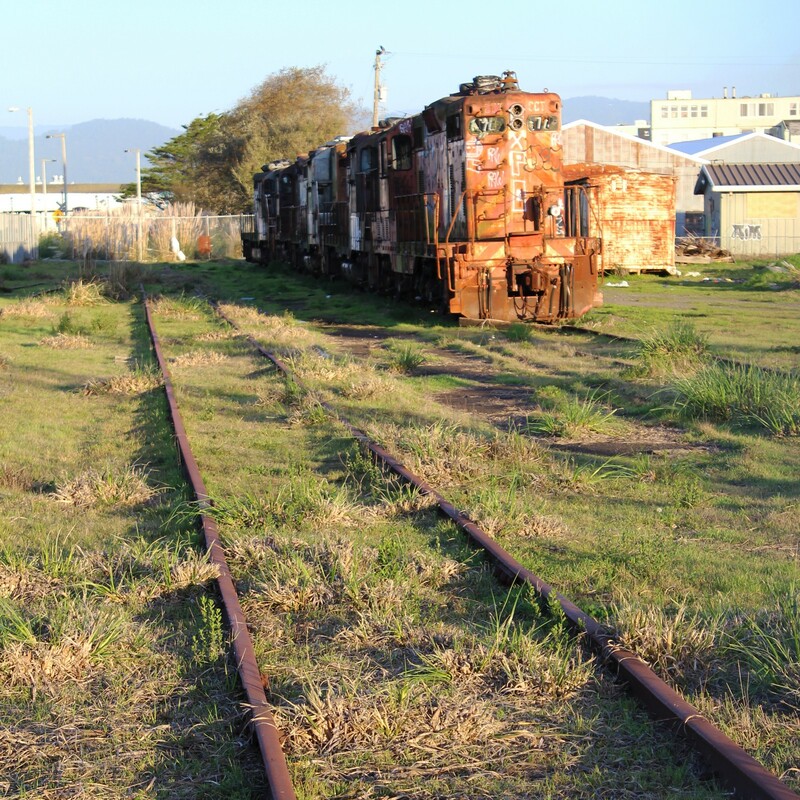 To that end, in January, the Eureka City Council endorsed the Humboldt Bay Alternative Rail Route Feasibility Study. The city hired ousted Harbor District CEO David Hull as a consultant to help gather political support. Since then, the state has kicked in $25,000 to help investigate the idea. And rail backers have been busy persuading Tehama, Trinity and Humboldt counties and some of their cities -- all aligned as something called the UpState RailConnect Committee -- to seek funding for a feasibility study that could cost $250,000 or more. In December, east-west rail proponents asked the Arcata City Council to join in, but a skeptical council took no action. Meanwhile, Humboldt County supervisors took another step this month, voting 3-2 for a rail-related push to develop a marketing plan for the bay and work with other agencies to craft a 12-year "2025 Harbor Action Initiative." As 2012 ended, Eureka City Manager Dave Tyson, head cheerleader for the east-west rail, retired. His replacement, Bill Panos, comes from West Sacramento where, among other things, he was the port director. Prediction: We'll be hearing lots more about these railroad revival dreams in 2013.